Motion was made to approve the April 16, 2018 meeting minutes. It was approved. lined up to be there. ready to go for opening night. Sunday will be a draw/redraw day. Rudland $100 a night including practice nights. It was approved. Working on the portable sign. We need 4 sheets of plywood to finish it. We are doing a full booster night the first race night. We have 6 Marketing Partners lined up for the year. We are working on getting the rest lined up. Dirty Weekly is planned for Sunday at 4:45.
appearing for the mall show. We have the new insurance policy. Meeting adjourned at 9:51 pm. Next meeting will be Monday, May 7, 2018 at 7:00 pm at the Sleep Inn. Motion was made to approve the March 19, 2018 meeting minutes. It was approved. different stalls can be purchased. Mall show contract is ready to go. 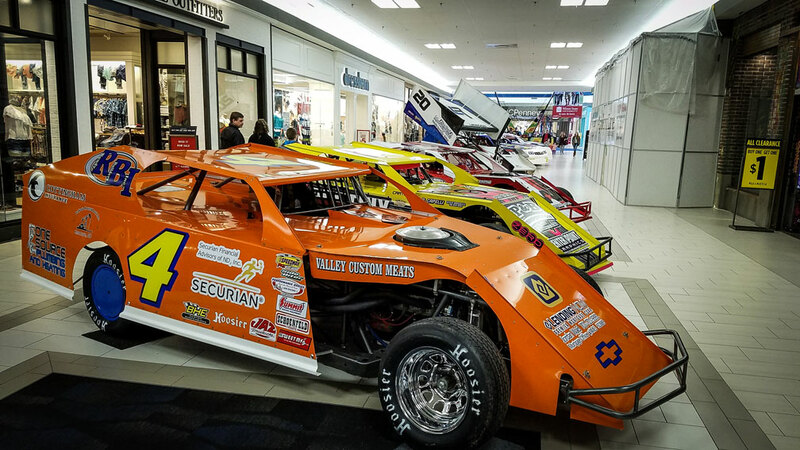 If your car can be in the Mall let us know. informative meeting at the Sleep Inn on April 21st at 5:00 pm. We will be having a volunteer meeting on Saturday April 21st at 3:00 pm. Discussion on different ideas for Mother’s Day weekend. Motion was made to adjourn meeting. Meeting adjourned at 8:26 pm. Next meeting will be Monday, April 2, 2018 at 7:00 pm at the Sleep Inn.